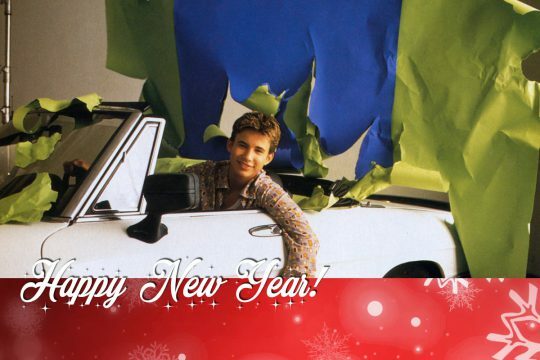 We here at The Jonathan Taylor Thomas Archive want to wish you all a Happy and Prosperous New Year. Hope you’ve had some festive holidays and have made it well into 2017. 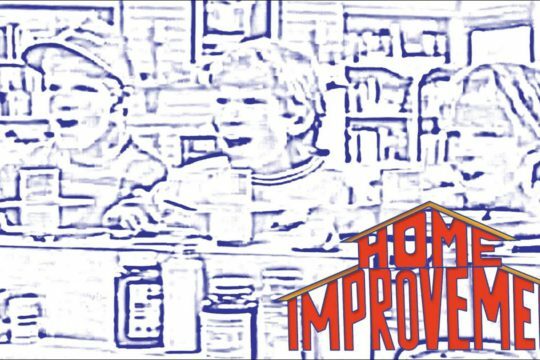 2016 marked the 20th anniversary of the 6th season of Home Improvement as well as the 25th for the 1st season. We could also celebrate the 20th anniversary for The Adventures of Pinocchio. 2017 will mark the 20th anniversary for Wild America as well as the 7th season of Home Improvement, which was the last full season Jonathan were on the show. 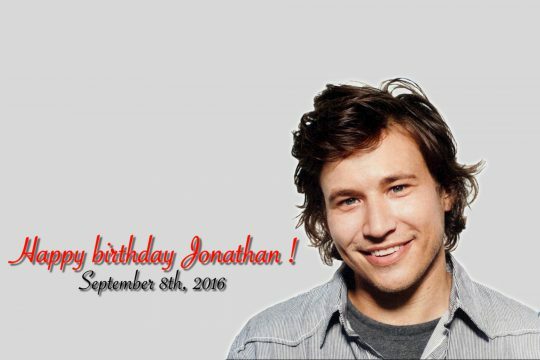 We can also celebrate the 15th anniversary of Jonathan’s first appearance on Veronica Mars. Should you have missed any of the 24 articles posted during December or just want to read some of them again, we have collected a list of them below. We hope you’ve enjoyed the ride and plan on posting more during 2017, so be sure to come back here, give us a like on Facebook and follow us on Instagram. Parties are a favorite way to celebrate birthdays, holidays, a football victory, or the start of summer vacation. Almost any occasion will do. But successful parties—especially Christmas parties—don’t just happen. Entertaining is an art. It is, however, something anyone can learn. Time and practice are all that it takes. Now that his Home Improvement character, Randy, is off saving the rain forests in Costa Rica, Jonathan Taylor Thomas declares that he might not be too far behind. You’ve heard about Jonathan Taylor Thomas pondering a future career as a movie director, a history professor and even a politician—but an archeologist? Well, according to this 17-year-old, who can currently be seen with 7th Heaven’s Jessica Biel in the movie I’ll Be Home For Christmas, the idea of traveling abroad to study foreign lands may be right up his alley. You’ve heard the hype, now live the experience. Wild America has finally come to town. Grrrrr! A revealing look at what goes on in your head when the lights go out. Hiya, Boppers! A few months back we asked for your celeb-studded dreams and you responded big-time. So big, in fact, that there was no way we could even begin to publish one-zillionth of the responses! 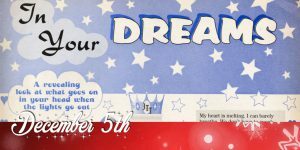 But we want to thank all of you dreamers for sharing, and we hope that you’ll enjoy a sampling of the dreams we received. J.T.T. is a serious guy—seriously romantic, that is! We’ve got the scoop on what makes this Home Improvement cutie swoon on a date. And we even know the special place where he plans to someday pop the question! Sometimes it seems like Jonathan Taylor Thomas must be the hardest working 15-year-old actor in Hollywood. 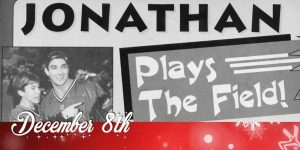 December 8th – Jonathan Plays The Field! 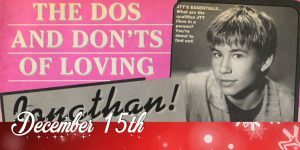 He’s more famous for his brains than his brawn, but Jonathan Taylor Thomas is no klutz on the playing field! 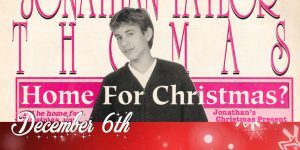 Jonathan Taylor Thomas is a star on the rise in every sense of the phrase! 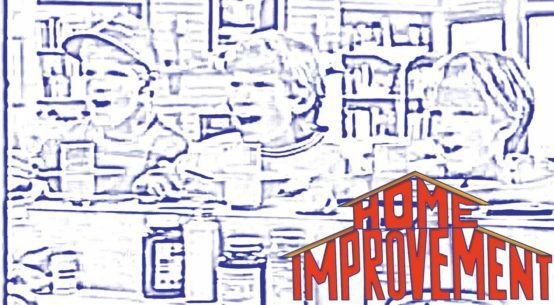 The young star of ABC’s Home Improvement recently debuted in his first major motion picture, Man of the House, which also starred Chevy Chase and Farrah Fawcett. In his spare time, Jonathan usually picks up various “small” side jobs here and there. There are a couple of things Jonathan Taylor Thomas would kids his age to know. For starters, working as an actor isn’t as easy as it looks on Entertainment Tonight. After spending nine months out of the year doing his hit TV series, Home Improvement, 15-year-old Thomas spends his “vacation” working on a movie, after which he has just about enough time left to take his final exams. When not on the set, he lives happily in suburban LA, hanging out at the mall and talking his mom into taking yet another exotic fishing trip. After eight years of growing up in front of millions of watchful Americans on the top-rated ABC sitcom Home Improvement, Jonathan Taylor Thomas finally called it quits. It wasn’t easy, it wasn’t fun, but according to this 17-year-old actor, saying goodbye to his character, Randy Taylor, was one of the most important decisions he ever had to make. 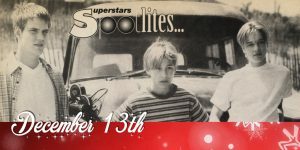 Superstars scopes out Jonathan, Devon & Scott’s New Flick! It’s a can’t lose proposition. Team up three of today’s hottest young actors—Home Improvement’s Jonathan Taylor Thomas, Now And Then’s Devon Sawa and White Fang ll’s Scott Bairstow – in the true-life story of three aspiring nature photographers and you’ve got this summer’s must-see movie – Wild America! Uh, it’s Devon, Actually, and tormenting JTT is more like it! How would you like to be dropped into a pool of water, yanked up into a tree, hauled behind a moving car…all (duh!) totally against your will? Wouldn’t be your first choice, huh? Well, that and a ton of other majorly embarrassing and humiliating incidents are exactly what Jonathan Taylor Thomas had to endure just a few months back. DO have a good sense of humor if you’re going to get along with Jonathan. This natural-born comedian loves to make people laugh! “It’s a good feeling to know you are making people enjoy themselves and have a nice time,” he says of his wisecracking role as ‘Randy Taylor’ on Home Improvement. 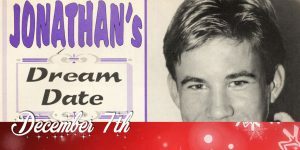 Having Jonathan Taylor Thomas personally answer your very own question is a dream come true and Tiger Beat made it happen! Read on. 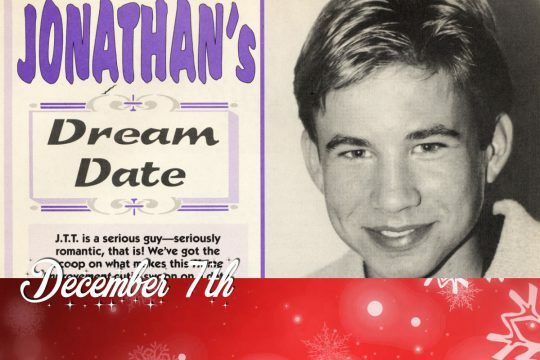 Ever wonder what a star like Jonathan Taylor Thomas really thinks? 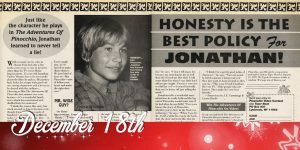 Sure, we all know the Jonathan who stars as wisecracking ‘Randy Taylor’ on Home Improvement each week or who played the mischievous ‘Tom Sawyer’ in Tom And Huck and the nature-loving ‘Marshall Stauffer’ in the upcoming Wild America, but who is the real JTT? 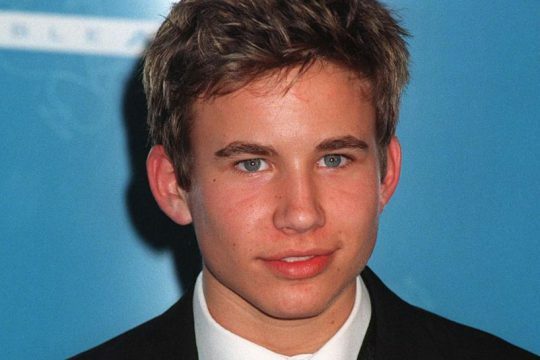 The making of Wild America must have been a pretty cool experience for Jonathan Taylor Thomas. Afterall, for him to say he’d like to work with his co-stars Devon and Scott again, that’s pretty nice. While filming the adventure flick, these three spent lots of long hours together in some pretty remote wilderness areas with nothing to do between takes but hang out with each other. With so many movie roles to choose from but only a few weeks every year to star in projects other than his TV series Home Improvement, 15-year-old Jonathan Taylor Thomas has to be very picky about the films he makes. He particularly looks for scripts with good values, strong characters and a lesson to be shared with the audience. 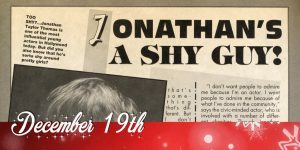 Jonathan Taylor Thomas is the rare combination of a star who does it all and a regular teenage boy who has a hard time asking out a girl. 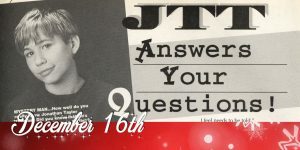 Get the inside scoop on what the real JTT is like! 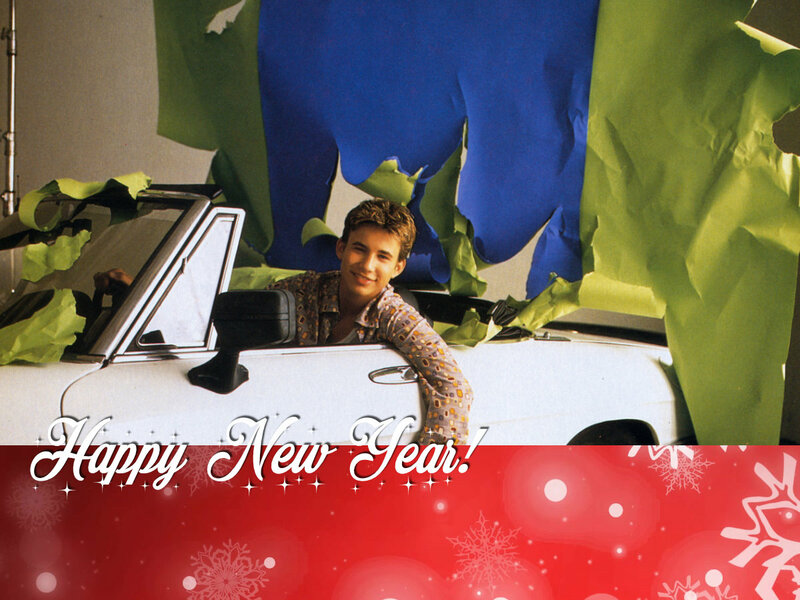 Just because Jonathan Taylor Thomas is one of the most famous 15-year-olds ever, it doesn’t mean that he acts it. 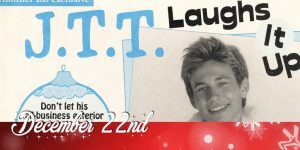 In fact, JTT is way shyer than most guys his age! Perhaps only Jonathan Taylor Thomas’ fictional Home Improvement dad, grunting ‘Tim Tool Time Taylor’, could explain why teenage brothers are so competitive with each other. We suspect that the weird impulse that brothers often have to torture each other in strange and unusual ways goes all the way back to the caveman! In the upcoming film Wild America, poor JTT survives some pretty tough pranks, stunts and dangerous escapades all instigated by his loving older brothers! There’s no denying that Jonathan Taylor Thomas is a world-class actor. 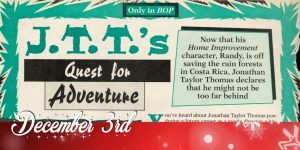 As ‘Randy Taylor’ on Home Improvement and starring in movies like Man Of The House, The Adventures Of Pinocchio, Tom And Huck and his soon-to-be blockbuster Wild America, JTT has quickly become one of Hollywood’s hottest young talents and has captured hearts all over the world. Don’t let his all-business exterior fool you. 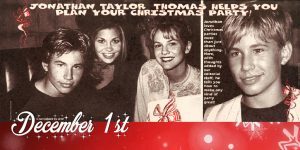 Jonathan Taylor Thomas likes to let loose and have a good time! 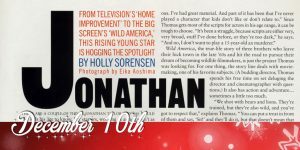 If you’ve seen Jonathan Taylor Thomas giving interviews on television or read anything about him in a magazine, one of the first things you probably noticed about the star of the hot holiday film I’ll Be Home for Christmas (which also stars 7th Heaven beauty Jessica Biel), besides his charming personality, is the fact that he’s ‘ super-smart. Fashionable Jonathan gets that cool “just-threw-it-on” look by, well, just throwing stuff on. You’d never know Jonathan Taylor Thomas actually puts thought into what he wears. And we mean that in a good way. J.T.T.’s outfits usually seem to be thrown on, but yet—and this is the important part – somehow thrown on in just the right way. 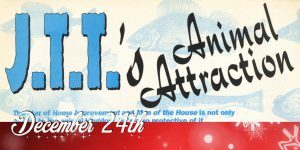 The star of Home Improvement and Man of the House is not only partial to the animal kingdom, he’s also protective of it. 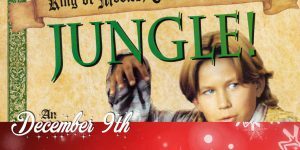 Like most people, 13-year-old Jonathan Taylor Thomas is extremely fond of his pets. Jonathan, his mom, Claudine, and his four-years-older bro, Joel, share their Los Angeles-area home with a Lhasa Apso dog named McCormick and two Himalayan cats, Samantha and Simba.